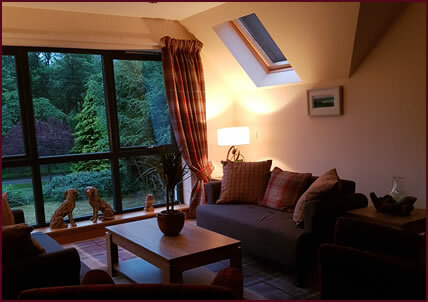 All four bedrooms in the main house have flexible accommodation options (but do not accommodate extra beds or cots) and are located on the first floor with garden views or views across open fields to the hills beyond. They are all en-suite with the exception of the small double, a sweet room with a separate, shared bathroom (with bath no shower facility and sometimes shared with one other room), fully equipped with Nespresso coffee machines, mini drinks coolers.flat screen Freesat Tv/Dvd, hairdryers, beverage trays etc. A small secletion of DVD’s are available for guests. 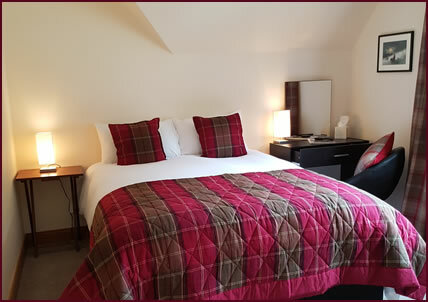 In addition to the above we have 3 external en-suite rooms equipped to the same standard as in the main house (with the exception of mini drinks coolers). 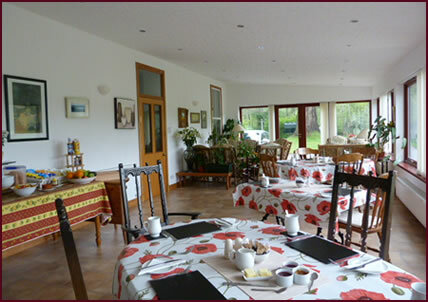 This property could also be used as a self catering facility – Details of this available on request. Breakfast at Kilmichael House – Set yourself up for the day and enjoy a great Continental breakfast with cold ham/cheese selection (including Scottish Ham and Cheese)– Fresh Seasonal Fruit, Real Fruit Juice, Yogurt, Cereals, Granola, Museli, Bread from the Black Isle Bakery, warm Croissants and my own home made Jams, Marmalade. A limited range of ‘Free From’ products is also available. Owing to our rural location guests should make their dietry requirements known at the time of booking to ensure we can present a choice where possible. 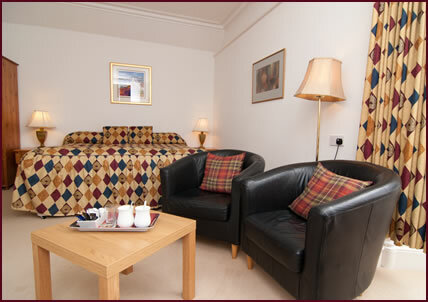 Providing Room Only accommodation the four rooms in neighbouring Kilmichael Lodge are spacious and bright. 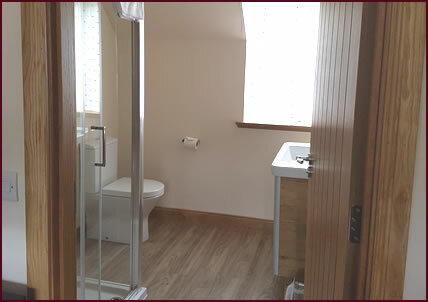 Three are en-suite with great power showers and one with a shared, separate bathroom again with a great power shower which is located on the ground floor. 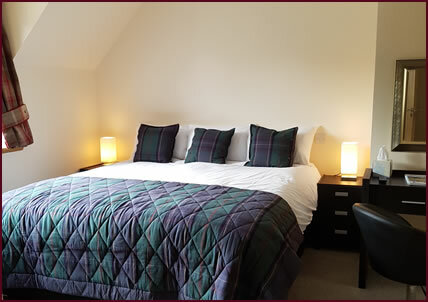 The three en-suite rooms are located on the first floor and all of our rooms are equipped with either very comfortable Kingsize or Super Kingsize beds, Nespresso Coffee Machines, Beverage Trays (including snacks/chocolate, mineral water), Hairdryers (USB charging sockets coming soon) and last but not least complimentary wi-fi. In addition, located on the first floor is a very comfortable, airy lounge area where guests can relax, chat, plan their day etc. The lounge area is open from 4pm until 10pm and we do ask that guests are considerate of others when using this facility and keep noise to a minimum, particularly after 9pm and not to Skype after 9.30pm so as not to cause a disturbance to others who may already be asleep. 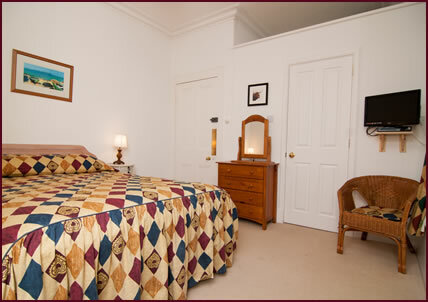 Please Note we do not accommodate more than 2 guests to a room and nor are extra beds available.